A recent announcement from casino software developer Quickspin has made public the release date of their latest mobile slots game. The Swedish developer will release Dragon Shrine, compatible with a variety of mobile operating systems on October the 18th. Dragon Shrine’s game play goes back to basics with an array of Asian themed symbols added to recreate a classic theme. For beginners who are new to mobile slots, this game may be a welcome addition to Quickspin’s portfolio thanks to its simple, easy to understand style. Instead of focusing on several bonus features and games at the same time, Dragon Shrine offers a free spins feature and its unique Stack Respin feature, the latter of which is available throughout the base game and the free spins. Both features will be simple for new players to grasp, giving them a solid starting ground for discovering the workings of mobile slots. The Asian dragon theme of Dragon Shrine is a first for developer Quickspin. However, the theme will be unmistakeable for players thanks to theme-related graphics and dragon Wild symbols throughout the game. The foremost bonus feature in this new mobile slot is the Stack Respin feature. Many mobile slots developers have started to incorporate the recently popular respin feature into their games, and Quickspin has joined the trend by adding sticky Wilds to the mix as well. Beginners and seasoned slots players alike will recognise the mix of playing card symbols and themed icons on the reels of Dragon Shrine. The higher paying symbols here are a variety of gems, which is a nod to the original name of the slot – Dragon Diamond. Along with playing card symbols from 10 to A, players will also see coloured gems, golden dragon Wild symbols, and Asian temple Scatters on the reels. Dragon Shrine contains 5 reels in a unique diamond formation, with 3 symbols in the first and fifth reels and 4 symbols in the centre reels. Beginners who play Dragon Shrine will have no trouble activating the free spins feature with 3 Scatter symbols on the game’s 3 centre reels. 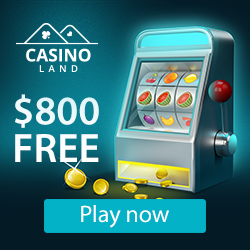 Players will be granted 10 free spins here, with the chance to trigger the Stack Respins feature by landing a stack of dragon Wilds on reel 1. The Stack Respins feature can also be triggered in the base game by landing a stacked Wild on reel 1. The stack will stick in place for 3 respins, and each spin will be evaluated for winning combinations. In the free spins feature this bonus feature gets a welcome upgrade, with a mirror stack of Wilds automatically appearing on reel 5 as well. Simple, yet innovative and potentially very rewarding, Dragon Shrine looks set to appeal to players of all skills levels and should encourage those new to the word of mobile gaming to give slots a try.